You can never have too many reminders about keeping us furry guys cool. Humans sometimes forget that we can’t remove our fur coats. Great tips! Love that shaddy doggy lounger. We ALL can’t discuss these very important topics enough. Nice job, and love the canopy. Stay cool. Great tips! We bought a doggie pool for Luna, but she just hasn’t figured it out yet. Stay cool. You too!! Enjoy the pool! Great tips! 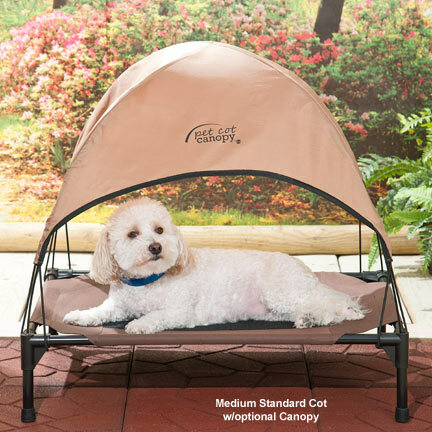 Love that doggie awning. it does seem to be quite a hit! How are the quality of the dog boots? Can they stand the wear and tear of daily walks?